For the second time, I’m honored to feature Daniel Wallace on my blog! He’s a super supportive husband and father and recently entered the blogging world together with his wife. They are such a sweet family! Daniel offers amazing tips to improve your writing (something I struggle with all the time) so I love to feature his tips! He also just launched a course, and made over $5,000 – pretty darn inspiring for a busy new dad! Enjoy the post below! This is my personal blogging story: how I launched a professional blog and online course business — while working full time and being an active parent. 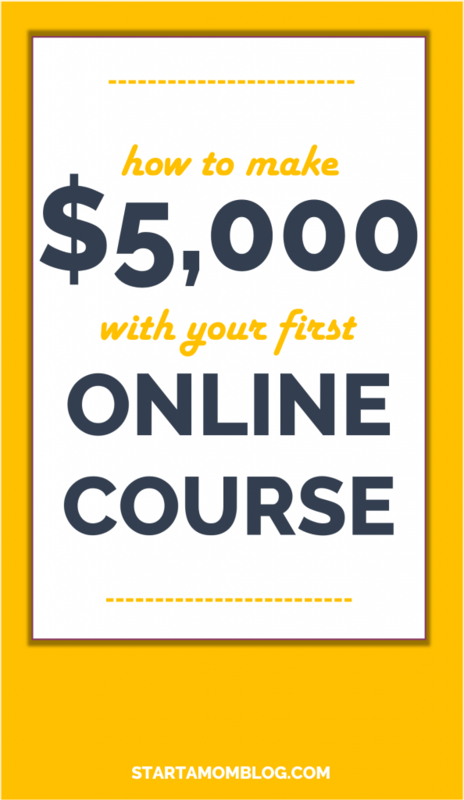 I’m going to describe the steps I took to launch my first online course (making over five-thousand dollars in the process). 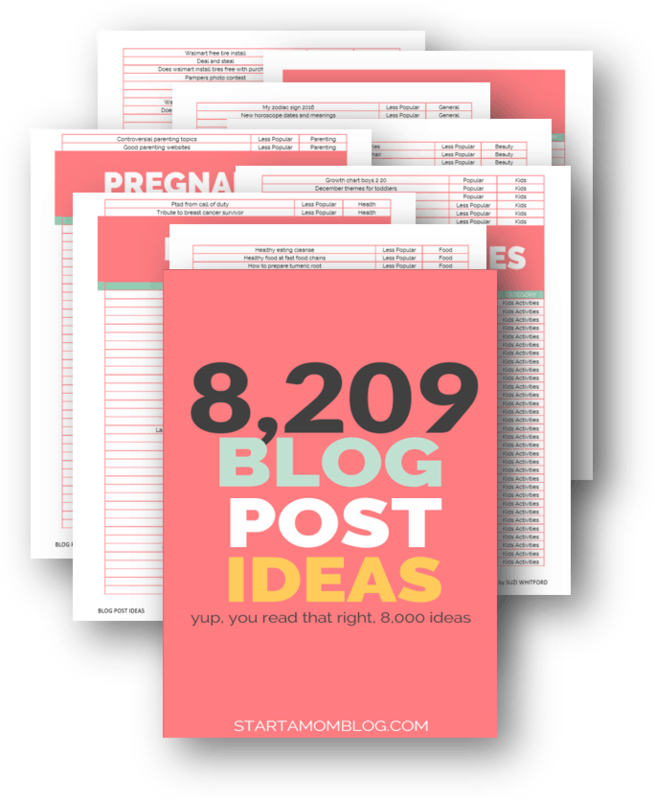 I hope this is useful for your own blogging journey. In July of last year (2016) I completed my PhD (in English and Creative Writing). The next month, in late August, my son was born. And in September, I began teaching a full-time schedule at my University on a one-year contract. In our first months of being new parents, my wife and I were rarely able to sleep for more than two hours at a time. We were terrified of doing something wrong, and during our daylight hours, we watched the baby constantly. I had taken an extra (“overload”) class at my university to help us afford maternity leave for Jeni. And we were also running an Airbnb apartment above our garage to make some extra income. Additionally, on my two mornings off a week, I was going out to the local coffee shop to work on my dissertation, trying to get my book ready for publication. It was insanely busy and exhausting, and I could tell it wasn’t sustainable. To add to the sense of urgency, I knew that Jeni wished, above all, that she could stay home with our baby. She hated to be parted from him, and the prospect of returning to her nine-to-five office job left her miserable. It was pretty obvious that sooner or later, she would want to leave her job. Yet I didn’t know how we would support ourselves if she quit. I was only employed on a one-year contract, with no guarantee of being kept on at the end of the academic year. 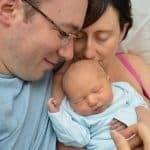 I wanted to help my wife stay home with our baby. But how could we live on one salary? Shouldn’t I be able to make more money, somehow? The irony was — I seemed to be a really good teacher. I loved writing, teaching writing, and I enjoyed sharing my ideas with anyone who would listen. Successful authors, men and women who had published multiple books, praised my lectures and essays on the craft of writing. I had even been blogging about writing for the past several years. The only problem was this: I didn’t know how to make this skill support me and my young family. (My blog made a small amount of money from my blog each month through a Patreon account, but nothing even approaching a sustainable income or a decent hourly wage). 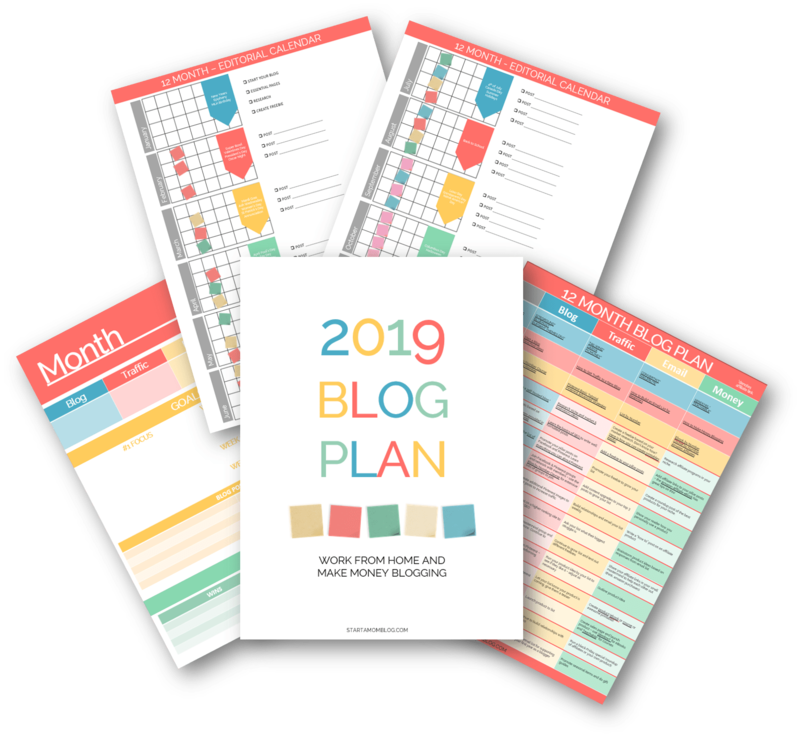 So, when Jeni started telling me that we should relaunch our blogs, and become professional, full-time bloggers, I was skeptical at first. I had just finished my PhD and I was exhausted, and I had tried to be a blogger for a long time and it hadn’t taken off. Still, I listened to the podcasts she recommended. She had already joined Food Blogger Pro, the fantastic community for food bloggers, and the more I listened to the Food Blogger Pro podcast, the more I began to believe it could be possible.  Jeni felt inspired by the monthly income reports that successful bloggers shared: she showed me people like Suzi Whitford. She argued that we could join their ranks. And I loved the idea in theory, but because I had never made much money blogging in the past, I couldn’t see how it would ever work. The income pages that excited Jeni didn’t do very much for me: even if I made an ebook to help people improve their writing, for example, how would I get anyone to buy it? If other bloggers were making thousands selling online ebooks and courses, couldn’t I do it too? But I kept listening to podcasts. And then one particular Food Blogger Pro podcast episode changed my mind: an interview about email automation. The guest, Chris Davis, explained how to create a simple automated email sequence, offering a series of free tips and genuinely helpful advice with each message — warming up the reader, step by step — before delivering the sales message in email five. In other words, you couldn’t just ASK people to buy something. You had to create a process where you gave them as much as possible for free, long before you even had something to sell. When described like this, sales suddenly didn’t sound that difficult. It sounded like something I could do. Now I had a plan: build up an email list of people who cared about their writing, and then design a paid online writing course, and then pitch that course to my email subscribers. Two more podcast episodes were pivotal in those early days: Amy Porterfield’s “Cultivating a List-Building Mindset” and Clay Collins’s interview about “laddering up” on The Smart Passive Income podcast. Build an email list. Build relationships. Give amazing free advice away. After welcoming them and warming them up, then pitch your product. You are probably like me: very busy. You may feel like you have no time to create an online course business. If so, maybe this particular tactic will work for you, too. It isn’t the most glamourous or impressive way to start a business: it makes you look a bit stupid at times. But it seemed to help me keep going, to actually launch my first course despite working full-time and raising a baby. My tactic was simply this: I tried to focus on only one thing at a time. Whatever I was focusing on, for that particular week or month, I only worked on that one thing. While I was trying to build up my email list, for instance, I might not write any new blog posts, even if weeks went by. And when it was time to launch my first paid course, I stopped paying so much attention to Pinterest, and as a result, my email list stopped growing. This is an uncomfortable experience. It makes you look unprofessional. You constantly feel like you are doing a shabby job. (P.S. To jump ahead for moment and give a very real example: over the summer, it’s been especially painful to watch my new email sign-ups tank. So the idea of “focusing on one thing at a time” definitely has downsides. But I just kept telling myself that I simply didn’t have time to run a grand, all-encompassing, smooth-running business. I was working on my blog in the evenings and during spare mornings on a local coffeshop. If I tried to do everything at once, I might end up getting nowhere. If you focus on one thing at a time, I believe you can make quicker progress than if you tried to be pretty good at everything. If I tried to do everything at once, I might end up getting nowhere. So other parts of the blog had to grow slower as I worked on my course. What did this look as a schedule, month by month? In January, at the start of 2017, I told myself that I would give my professional blog until September. By then, I reasoned, I would be able to tell if I was making progress or not. So that was my goal: by September, I should have started making some money with my blog, or, at least, should have built up a big readership. If not, I would give up and try something else. In January and February, I designed my new blog. I closed down my old blog, ported over my old followers, and built something new. In March and April, I taught myself how to use the email list manager ConvertKit and began creating free opt-in offers. I kept thinking back to those podcasts I had listened to, and how they had said that a great opt-in and a great email sequence was crucial to establishing a business: so I spent a really large amount of time making an appealing giveaway and a free newsletter. I created two BIG opt-in offers — a ebook about prose style (adapted from some of my most popular posts) and a six-part email course guiding fiction writers through their next story story. Both these offers were substantial, offering writing advice that would be very hard to find elsewhere. I also wrote out the first several installments of a weekly newsletter. I officially launched my new site and my mailing list on May 1st. I was using Tailwind to automatically repin pins from those group boards to my own boards; I was manually pinning my best pins to those group boards. In other words: I was automating the posting of other people’s pins (over twenty a day of other people’s pins to my personal boards), but I was hand-pinning my own stuff to those group boards. This made the late spring and early summer a little insane: I was opening the Pinterest app on my phone five times a day to pin to my fastest-moving group boards. I knew that I could have automated this work with Tailwind, but I simply couldn’t figure out how to loop my own pins, so I just did it by hand, pinning to each group board two to five times a day (depending on how fast-moving the board was). Quick Tip from Suzi: Here is the Tailwind Looping Strategy I created and use. It can loop for a week and then I have to reset it. It works wonderfully! By the end of June, this Pinterest strategy had succeeded so well that over two thousand people had joined my mailing list. ConvertKit actually interviewed me to find out how I had grown my list so quickly (they weren’t familiar with Pinterest and how powerful it can be). It felt like a big deal to have a conversation with Val Geisler, the email marketing savant: she had hosted Reach, one of the podcasts I had listened to obsessively at the end of 2016. They asked me about my list-building tactics, and during that conversation, I told them my plans to create more opt-ins and free email courses — to keep growing my list. In my mind, I was still working on a “money by September” deadline. It was only June: I had a few months to spare and I wanted to keep growing my list. Val, however, looked at me sternly across the Skype channel, and accused me of “procrastination.” I should stop wasting time, she said, and sell my first course as soon as possible. Sell the course, she and her colleague Steven suggested, even before you record the first video: offer it at a pre-sale discount and find out if people want to buy. If they buy, then you actually make the course. Manually pinning to large, fast moving group boards 2-5 times per day. This grew my list to over 2,000 subscribers in a few months. How to Find the Topic to Your Course & Sell It Before Creating It! The thought of selling still terrified me. I was afraid everyone would reject me and quit my email list. I was so frightened that I simply followed the framework laid out by more successful bloggers. I recommend the book (or audiobook) Launch and this epic blog post by Bryan Harris. My approach to picking a topic was simple: I started asking my subscribers what they were struggling with. The first topic I asked about didn’t get many responses, so I ditched that course idea. But when I asked them if they felt frustrated by plotting and planning a novel, I got so many replies that I didn’t have time to reply to everyone. Maybe fifty people replied, often at length. I now had a topic for a course. And this was fantastic because I LOVE talking about plots and novel-writing and I had spent four years preparing myself to teach this subject. I was ready to deploy theories of narrative form that most creative writing classes never mention. I was still terrified, of course. I didn’t believe anyone would want to join the course, and that they would laugh at me. However, I tried to trust the launch formula. Harris suggested to start very simply: to create a basic sales page, show it only to people who had expressed an interest before, and ask if they wanted to buy. So I made a simple sales page with Adobe Spark Page, and a survey with Google Forms, and, just as Bryan Harris suggested, I reached out to everyone who had replied to my question about novel-planning. About fourteen people agreed to look at the course description and take a survey. About half of those people said that they wanted to buy the course. Oh My God. They actually wanted to take the course! I have rarely been so ecstatic. I simply couldn’t believe it. I ran into the room where my wife was nursing the baby and started jumping up and down and screaming (silently, so not to upset our son). Quick Tip: I had done it: I had built up a list of email subscribers, shared tips and ideas and stories with them each week, and I had designed an online course that they wanted to buy. Ask your readers what they are struggling with. When you receive many detailed responses back from your readers, you’ve hit a powerful pain point! I launched the course to my full list at the end of July. In the end, 28 people bought the course, earning me somewhere in the region of five thousand dollars. Since then, I have been guiding the students through the course, creating the videos and worksheets, and responding to everyone’s questions. Not only have I made some money for my small family, I’m also doing what I love, helping writers who really want to learn. As I write this post, the course is entering its final week. I’m now planning my next steps: how to revive my list-building campaign — and how to design my next course. I love helping people find their writing voice, to build up and improve their writing style, and I want to design a simple to help them do that. Quick Tip from Suzi: I use Divi from Elegant Themes to create my sales pages and Teachable to host all of my courses. If you’re not ready to launch a course yet, you can start a bit smaller with an ebook and slowly move up from there! The point of all this: you can do this, too! You just need to work at it. Make a plan, or discover a plan by listening to a lot of podcasts, and work out how you intend to make money. In the early days, give yourself one weekly goal (mine was to add 75 new email subscribers a week). Then stick to the plan, no matter how frightening it feels. And, if you would like to see how I help people improve their writing, and get some tips for your own blogging career, feel free to try out one of my free email courses. Make Writing Your Superpower is a free course I made specifically for bloggers; Copy the Great Writers teaches you how to develop your own daily practice session, improving your writing skills on your own. People will pay for a solution to a problem they have. If your course can take them from point A (where they are right now) to point B (where they want to be) they will support you! PS I want to extend particular thanks to Suzi Whitford. When I was just getting going, and felt all but crushed by self-doubt and the suspicion of my own fraudulent mediocrity, she was notably generous, kind, and supportive of both me and my wife. That encouragement really helped me as I built my blog. Incredible post that I will be saving for inspiration. Congratulations Daniel! Well done! It’s the success stories that keep us motivated. Thank you Suzi, brilliant bloggers like you inspire us to dream big!